As much as I love Halloween I never actually want to spend my time pumpkin carving. This year we’ve done things a little differently. We purchased our pumpkin from Waitrose along with a couple of cute munchkins (mini pumpkins) and they make a great display on our dining room table. The toddler has been going on and on about carving the pumpkin but instead of reaching for the knife I grabbed my washi tape collection instead. How about using washi tape for a no carve pumpkin? No mess and you can change the expression as often as you like! We picked a colour from the new range of nine different Scotch Expressions Washi Tapes from 3M. All the Scotch Expressions Washi Tapes are initially repositionable, yet they stick securely to a variety of surfaces. This meant we were able to play around and put it where we wanted but it stuck really well to the surface of the pumpkin (probably not the usual place to use washi tape!). 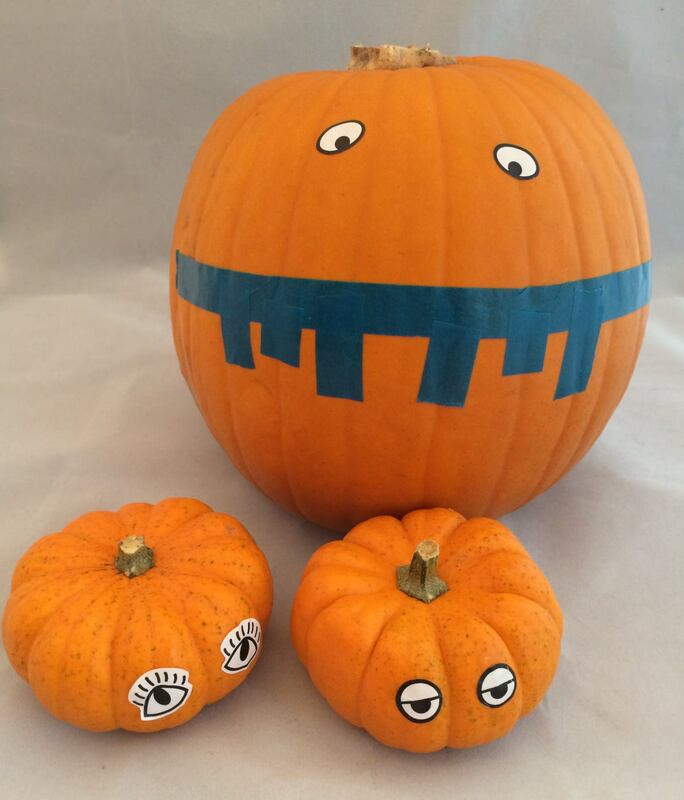 We used the washi tape for the mouth and added sticky eyes to make the face, but googly eyes would work just as well! Have you tried decorating pumpkins with washi tape before? what a great idea! safer for little ones to get stuck in with too as no sharp knifes! those pumpkins look really cute! What a brilliant idea that younger children can get involved without coming to harm – except getting stuck to the pumpkin probably. There is no safe way to carve a pumpkin without a sharp knife, so this is great. I like the idea of painting the pumpkin but this can get messy.